Boeing produced a total of 156 Boeing 717-200 jets over the course of 7 years. With only 156 Boeing 717 airplanes out in the market (actually 155 as the first one was decommissioned), there is limited availability of aircraft available for lease. A Boeing 717-200 for lease may be available from some operators who do not need the aircraft. Blue1 was a SAS Group company was providing wet leasing of the Boeing 717 jet; however, the company was divested/closed in 2015. They were also offering charter services with the Boeing 717-200. 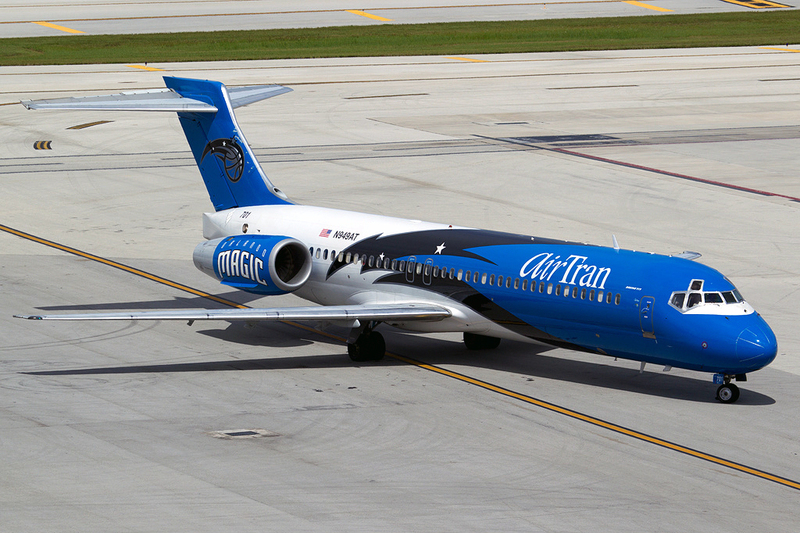 In 2012, Delta Air Lines leased 88 Boeing 717-200s from Southwest / AirTran Airways. Those jets are a significant amount of 717s that represent over 50 percent of the total 717-200 jets produced. The full terms and pricing of the Boeing 717-200 lease deal were not announced; however, Southwest has provided information on the costs of leasing these 717s to Delta. Southwest has estimated that it will cost them $154 million dollars (USD) to pay for certain upgrade costs. Southwest is paying for painting the jets into Delta's livery and maintenance as part of a "lease incentive" to Delta. Based on this information leasing a Boeing 717-200 may have a lower cost if the company needs to move them off their fleet. As of 2019, the Boeing 717-200 has become a very popular aircraft among operators. The airlines that have them are holding on to them, which makes it very difficult to lease one of the jets. Below is information on some of the leasing companies and the state of the 717 market. Boeing Commerical Capital and Falko Regional Aircraft are the two main organizations that lease the Boeing 717-200 jet. Pembroke Aviation was another company that leased Boeing 717 aircraft, and it looks like they are still leasing a few aircraft as of 2019. If you are looking to lease those aircraft, those are a few of the firms that have the aircraft and are leasing them to airlines. The main issue; however, is if they have any aircraft available. The 717 has become a very popular aircraft, and the airlines that have them do not want to let go of them. FlyRadius has seen valuations for a monthly lease at $110,000 to $134,000 for a Boeing 717 jet. As mentioned above, we have not seen leasing costs for the Boeing 717. Based on some information talked about in this article, the terms may be favorable to the lessee. 17 Boeing 717-200 airplanes were supposed to be on the market in 2017, as Volotea, one of the operators of the jet, had publicly announced that they would be removing the aircraft from their fleet. The company ended up only removing two 717s from their fleet. Both of those aircraft were picked up by Hawaiian Airlines and leased to them by Boeing Commercial Capital. Turkmenistan Airlines has stored all of their Boeing 717-200 planes, and the future of those aircraft are unknown. You can learn more on about sales of the jet on our Boeing 717-200 for sale page. If your company has a Boeing 717-200 for lease, contact our aviation resources team to get your 717 listed here at no cost. You can also contact us if you have any questions about the 717 or aviation. Above Boeing 717-200 Jet Photo by by Airwim on Wikimedia Commons. Photo (only) released under the GNU Free Documentation License, Version 1.2. In 2016, Delta has acquired all of AirTran's 717s under a lease and sublease agreement from Southwest Airlines. Boeing B-717-200 For Lease: The FAA and FSB use this name for the 717-200 aircraft in many of their reports regarding the airplane. Sometimes others call it the B717-200 For Lease without a dash between the B and 7. Boeing B712 For Lease: B712 is the ICAO code for the airplane that is used by air traffic controllers, airlines and others. More information on this will be posted later. Boeing 717 For Lease (with out the -200): Many call the 717-200 just the 717, which is the main aircraft program the plane is in (the only plane in the 717 program). 717 is also the IATA code for the jet aircraft.